Life is good. Right now I am at the cabin. I spent the day with friends. We celebrated Mary Life. The colors are amazing. The weather is perfect. Who could ask for more? 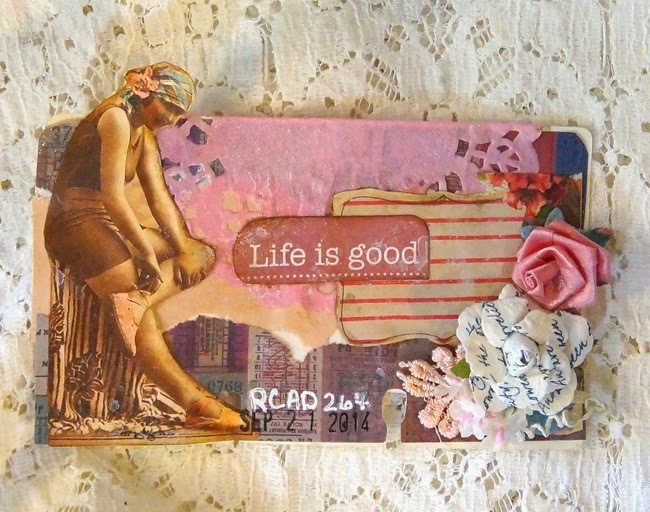 I used some fun bits and bobs I found in my studio and I did had a fun creating this card. I hope you enjoy the video!